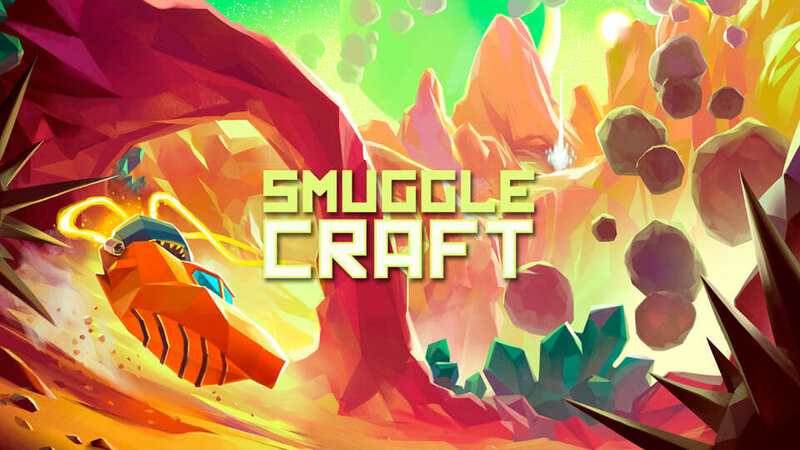 Having played a few games from Happy Badger, we backed Smugglecraft on Kickstarter as soon as we heard about it. They take a unique approach to game development, often offering a different approach to a common element. They also make really fun games! Smuglecraft is no different. As the name suggests you're in the smuggling business and will deal with shady characters during the game. They will assign you quests which you can complete for the payout or double-cross them and keep the reward. All of your actions impact the direction of the game. Choose wisely. Some quests involve winning a race while others have you work with others, deliver contraband, or seek out a destination. This is a fast paced game as you dart through randomly generated terrain in your hovercraft. Learning the basics will help you as you delve deeper into he game. Dying has pretty harsh repercussions on your progress. Your ship's upgrades are not effected, but you get sent back to the beginning. released on time for the PS4. The game features both single and local multiplayer options with the ability to create custom tracks and share them. As you progress, you can choose to be a good guy or a bad guy. These choices have consequences as the game progresses. Cheat for a quick payout can benefit you now, but many come back to bit you in the future. Your ship is fast, but the control is quite good. You'll need to practice as there isn't always much room for error. The randomly generated terrain keeps the game interesting as no tow sessions are the same. the quests are alo random, so you won't encounter the same tasks in the same order each time. The upgrades are pretty extensive, allowing a lot of customization. Money earned from your potentially nefarious deeds (or not) can be used for parts. However, you need to play it smart. The good stuff costs a lot and requires more successful quests to amass the funds. But what if you crash and burn? you loose your earnings. Go small at first, learn the ropes, then begin building funs for that sick upgrade. The customizations are definitely worth it, but the nature of the game makes you really earn it. Once you get the hang of it, your frustration will drop. It's fast. Fast. Scary fast. Until you master the controls, you'll bounce off everything into a certain death. Give it time. Practice. You'll discover the controls are really good, you just have to be a good pilot before you can master what it offers. At which point, you'll have a ton of fun. 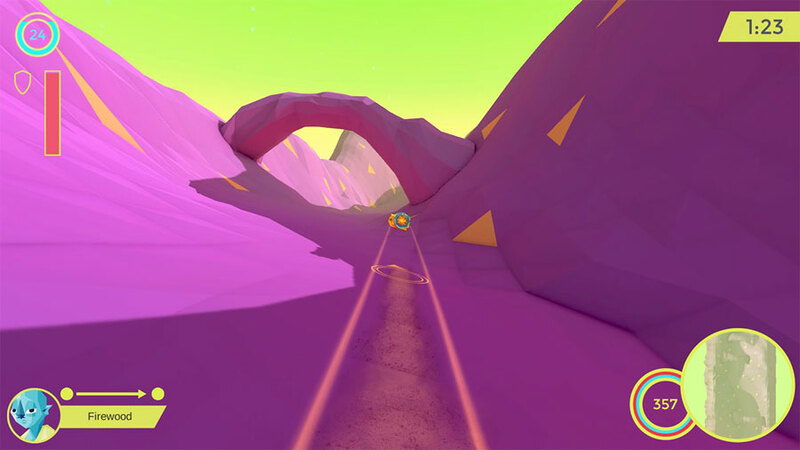 is a fast-paced quest-based racing game with randomly generated terrain. It's never the same twice, especially as you upgrade your hovercraft. Master the controls, choose your quests carefully, and upgrade your ship before you die and lose all your money.